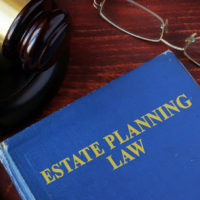 A key concept when it comes to understanding estate and succession planning is the difference between probate and non-probate assets. Basically, a probate asset is something that passes under the terms of your last will and testament. Now, you might think that everything you own is a probate asset, but in many cases that is not true. For example, if you have a retirement account through work, that is usually a non-probate asset. The reason for this is that employment benefits are regulated by federal law, while most probate assets (such as real estate) are governed by state law. In fact, many non-probate assets have their own beneficiary designation forms that overrule any contrary instructions in your will. The distinction between and non-probate assets can lead to some complex legal disputes after a person dies. Consider this recent decision by a federal judge here in Maryland. This case, Hailey v. Waller, involves a disagreement over the handling of a deceased woman’s life insurance policy. The decedent worked for the EPA. As part of her federal benefits, she had a group life insurance policy worth roughly $153,500. The decedent originally filed a designation form naming her daughter, the defendant in this lawsuit, as the sole beneficiary of the policy. In 2013, the decedent suffered a “brain hemorrhage,” which significantly affected her cognitive abilities. Approximately 10 months later, the decedent purported to sign a new beneficiary designation form. The revised form said the decedent’s daughter would now only receive 25 percent of the life insurance proceeds. The remaining 75 percent would go to a friend of the decedent, who is the plaintiff in this case. The decedent passed away in 2016. Another relative then attempted to file a will purportedly signed by the decedent in 2014 and amended in 2015–again, after her brain hemorrhage. The will was filed in Prince George’s County Orphans’ Court, which has jurisdiction over probate matters. After a hearing, the Orphans’ Court determined the decedent “lacked capacity” to execute a will due to her mental condition and declared the will and its amendment invalid. Separately, the plaintiff and the defendant each filed competing claims to the life insurance proceeds, which as noted above were a non-probate asset. The insurance company, unsure of what to do, decided to initiate a federal lawsuit. This then led to the question of whether the Orphans’ Court’s prior ruling that the decedent lacked the capacity to execute her post-hemorrhage will also meant she lacked capacity to execute the change of beneficiary form. The judge held these were, in fact, separate legal questions. The Orphans’ Court lacked the legal authority to decide issues regarding non-probate assets. That said, the judge noted the “degree of mental capacity needed to change the beneficiary of one’s life insurance policy is the same as that necessary to execute a will.” And the evidence of the decedent’s lack of capacity was “compelling.” Yet the issue still needed to be separately re-litigated in federal court. Understanding the difference between probate and non-probate assets is just one part of the succession process. A qualified Maryland estate planning attorney can help you with this and many other related subjects. Contact the offices of Henault & Sysko Chartered today at 410-768-9300 to speak with a member of our legal team.